Only we offer the COMPLETE ADVANTAGE! Spending time with you on your property to understand your needs, the property demands, and any special considerations. Determining your water pressure and volume available; designing at 80% of this capacity. Reviewing site specific factors such as shade, sun, plant variety, soil type and slopes. Translating this information into a formal irrigation design, which we will review to ensure your expectations are met. Incorporating only the highest quality, time-tested products into your system by the industry’s leading manufacturers. Using head-to-head spacing as a standard procedure; not an extra like some of our competition. This is the only acceptable means of providing full coverage and efficient water use. Choosing nozzles for each sprinkler head based upon area covered (known as matching precipitation rates) for even watering throughout your property. Calculating zone run-times based upon these precipitation rates, factoring in site conditions. Discussing the latest technology and how it will help you save money on your water bill, or lower your power consumption from your well pump. Furnishing a detailed written proposal of our agreed-upon design, establishing all the areas of coverage and a final price. There will be no surprises when our work is finished. Offering a comprehensive written warranty covering not only the materials used, but also the design of the system and the workmanship involved with installing the product. Recording your installation on an as-built drawing for future reference. Providing dependable service after the sale to ensure that your system operates at peak performance for many years to come. Maintaining only the highest caliber employees. 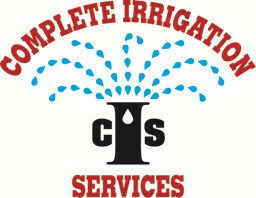 Our average employee has over five years of experience in the irrigation industry! This is what we do, day in, day out, year after year. Employing a full-time office staff with whom you can conveniently schedule your service calls, and address any concerns you may have. Participating in industry associations such as the RI Irrigation Association (founding member, now merged with the Irrigation Association of New England), and achieving industry designations such as Rhode Island Master Irrigator, license number 166; Toro Professional Contractor, Rainbird Select Contractor, Certified Backflow Tester through the New England Water Works Association, Tucor Authorized Dealer. Maintaining comprehensive insurance coverage regarding all facets of our business. Complying with Dig-Safe‘s marking notification requirements. We do all of this at a competitive price for our customers!